Dr Christian Bisanga is an expert on hair transplantation surgery, he has 15 years of experience. 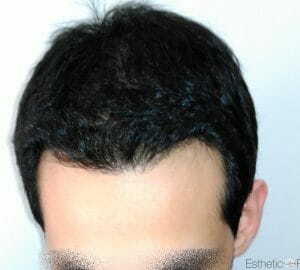 He performs several technics of hair transplant to both men and women. He obtained his medical degree from the Catholic University of Louvain, Belgium, and started his medical career in Acute Medicine and Catastrophes at the Princesses Paola Hospital in Marche in Famenne (Belgium). 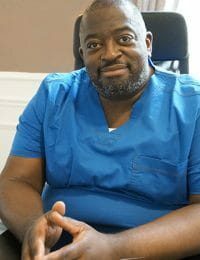 Today, Dr Bisanga is the medical director of the BHR clinic, he only performs his skills in Belgium and masters : FUT (Follicular Unite Transplantation), FUE (Follicular Unit Extraction), BHT (Body Hair Transplantation) and beard transplantation. Dr Ouriaghli performs hair transplant surgery alongside Dr Bisanga and his clinic. She is considered as one of the most promising upcoming surgeon, entirely specialized in the FUE technics. Dr Naoille Ouriaghli also offers an amazing cost per value for Europe, at €2,5 per FUE graft. To her, the hair is seen as a vital component and a self-fulfillment for people, that is why she focuses on minimally invasive surgeries and natural looking results. During his journey to the United-States, the Dr Christian Bisanga discovered the hair transplant with Dr Paul Rose, Dr Cole and Dr Leavitt. For 5 years, he worked on the hair transplantation technics and was accepted among the ABHRS (American Board of Hair Restoration Surgery), which is world renowned scientific society, and a proof of quality for prospective hair transplant patients. This enlightening journey confirmed his interest in hair transplant to focus on the hair transplant specialization, and come back to Belgium as an expert towards his peers. Dr Bisanga has joined many research about hair transplantation and managed to develop his own technics: a mix of the FUT and FUE skills. He pays particular attention to his operation’s quality and because the patient’s satisfaction is the most important to him, he ensures a natural result. Thanks to all his years of experiences and his research, Dr Bisanga got an excellent reputation and is, now, set among the top surgeons in Belgium. He belongs to the ISHRS (International Society of Hair Restoration Surgery), a medical organization about hair transplant, where surgeons keep informed and share knowledge about the lastest hair transplant surgery developments. Dr Christian Bisanga also got elected, by his peers, as the president of the FUE Europe Society, which is an organization of surgeons specialized on the FUE hair transplant. Dr Ouriaghli obtained her medical degree in 1999. When she discovered the esthetic surgery, which for, she has a huge interest, she decided to change her path and took the opportunity to specialize in the hair transplant surgery and particulary in the FUE technic. 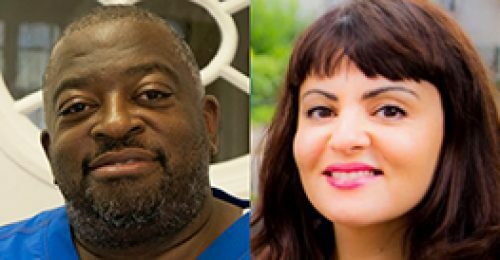 In 2015, Dr Bisanga strengthens his medical team by recruiting the Dr Ouriaghli, she is an expert on the hair transplant surgery, her skills and her expertise are really appreciated in the clinic. Dr Ouriaghli is a member of the ISHRS (International Society of Hair Restoration Surgery), a medical organization about the hair transplant. Dr Naoille Ouriaghli is also part of the SBME (Société Belge de Médecin Esthétique, Belgique), this company gathers all the certified medical doctors being able to perform the esthetic surgery, and frequently offers some courses about different technics. Very precised, Dr Ouriaghli pays particular attention to a couple of distinctive criterias to ensure the most natural result: the number of grafts, for an uniform density and the hairline. 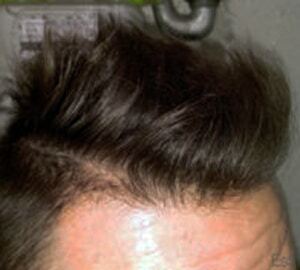 Among them, the anticipation of the future hair loss, which is crucial for a perfect result. 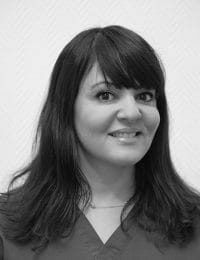 Based on Brussels, Belgium, Dr Ouriaghli can consult patients in Paris and speaks French, English and Arabic languages well.